Finally, after a year worth of teases, promos, trailers, speculation, and interviews the highly anticipated reboot to the Superman film franchise, Man of Steel is here. 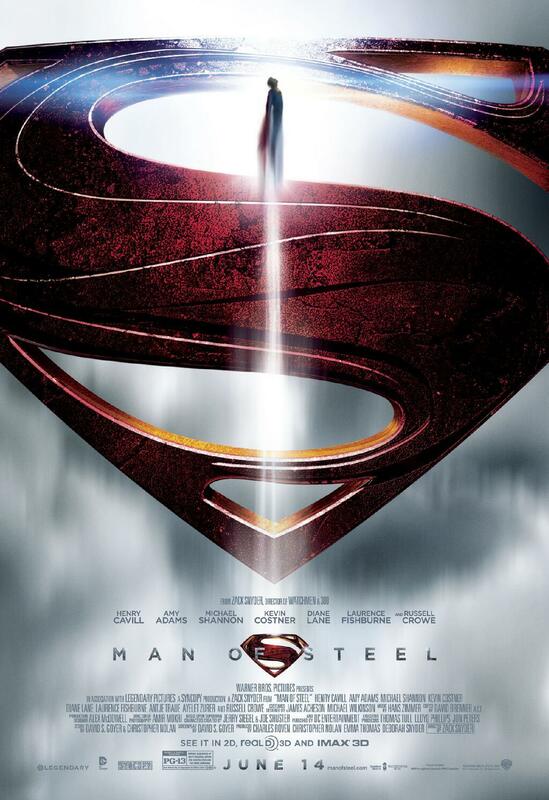 With two classic 70’s movies, a disappointing reboot attempt in the early 2000’s, and overall perception of Superman as rather low, this film had a great deal to prove. So does it soar? To borrow the words of Jor-El, the film stumbles a bit, it falls in places, but ultimately it takes its place in the sun. When Kal-El’s ship lands on Earth, the film immediately flashes forward to a grown Clark Kent with major events in his childhood told in the form of flashbacks, much like Batman Begins. And similar to Begins, we find our hero lost and without purpose in his life. Bruce allowed himself to wallow in a third-world prison, while Clark wanders the country trying to keep a low profile. It’s in this act of the story where the movie stumbles a bit. The pacing is rather uneven and scenes change rather abruptly without much resolution to them. Emotional beats are hit but its never long enough to fully process them. The best example would be when Clark finds the Fortress of Solitude, Jor-El, and the uniform that will label him as Superman. Clark at this point has a scruffy beard, is dressed very modestly, and wears a haunting look on his face. The discovery of his people and his birth father would be the perfect time to display the transition from lost soul to majestic hero through a shaving scene and Clark donning the uniform for the first time. However, the moment he puts his hands on the costume, it immediately cuts to him freshly shaved, in full uniform and a serene look with no time in-between to fully appreciate how major of a moment this is for Clark. The film recovers from this when Zod and his crew arrive on Earth. The powerful external threat allows director Zack Snyder to do what he does best, jaw-dropping action sequences. The most common complaint of Superman Returns had to be the complete lack of action. Well, Man of Steel more than makes up for it. Perhaps to the point of overcompensating. The action scenes are phenomenal but at times they can be difficult to follow due to more camera focus on characters being knocked through walls, than on the punch that caused it. By the time the final showdown between Superman and Zod occurs, the film has found a happy medium. I only wish it had found it sooner. The casting of the three major characters, Superman/Clark, Jor-El, and Zod is perfect. Henry Cavill IS Superman in both look and attitude. His time spent buffing up for the role definitely shows. Cavill also does what many thought to be impossible, making Superman a relatable character. Cavill’s Superman is still the nice guy Superman is supposed to be, but he reacts the same way most people would in certain situations. For example, when he flies for the very first time, the sheer euphoria on his face is undeniable. You know for a fact this is the best day ever for him, as it would for anyone who realized they could fly one day. When he feels lost, he talks to a priest at church. When Zod threatens his mother, Cavill’s Superman doesn’t hide how much that pisses him off. You get the sense that Clark is truly just a nice, normal, guy who just so happens to have a lot of power. A welcome change from the infaliable demi-god boyscout. Russell Crowe makes for the best replacement of original Jor-El, Marlon Brando. Crowe’s Jor-El is wise, assertive, and at times has a dry humor about him that the more stiff Brando Jor-El lacked. Michael Shannon’s Zod is played a bit more sympathetically than Terrance Stamp’s “KNEEL BEFORE ZOD” interpretation. 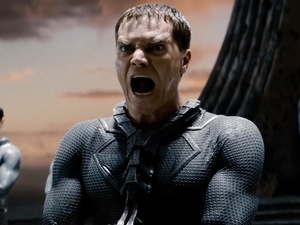 The film is still black and white in terms of morality but Zod has legitimate reasons for wanting to kill off the humans and at times, especially near the end, I truly felt sorry for him. KNEEL BEFORE…I mean…I WILL FIND HIM!!! Amy Adams as Lois Lane had a strong introduction but ultimately falls into the role of “shoe-horned love interest” that can be found in every comic book movie. She spends a good portion of the film searching for the mysterious savior that is Clark and when she does find him, they really don’t spend enough time together for me to buy into their kiss near the end. But as I said before, that is a flaw in every comic-book movie. 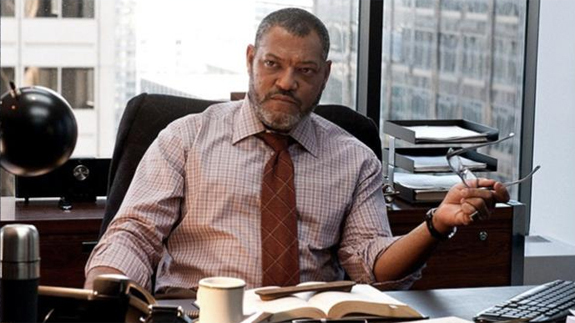 Laurence Fishburne and almost the entire Daily Planet cast is not given enough to do to justify their placement in the film, other than to ultimately give Clark a place to work. The filmmakers could have saved this aspect for the sequel. At the end, there is a major deviation from Superman’s core character that people will either love or hate. Initially I was the latter, but once the shock wore off, I could understand why the filmmakers went that route. However, similar to Superman finding Jor-El, this deviation is a major moment for Clark that is not given enough screen time for either the character or the audience to fully process. Ultimately, Man of Steel hits all the marks and while it doesn’t hit them perfectly, it’s a step in the right direction for Superman. I can’t wait to see more.